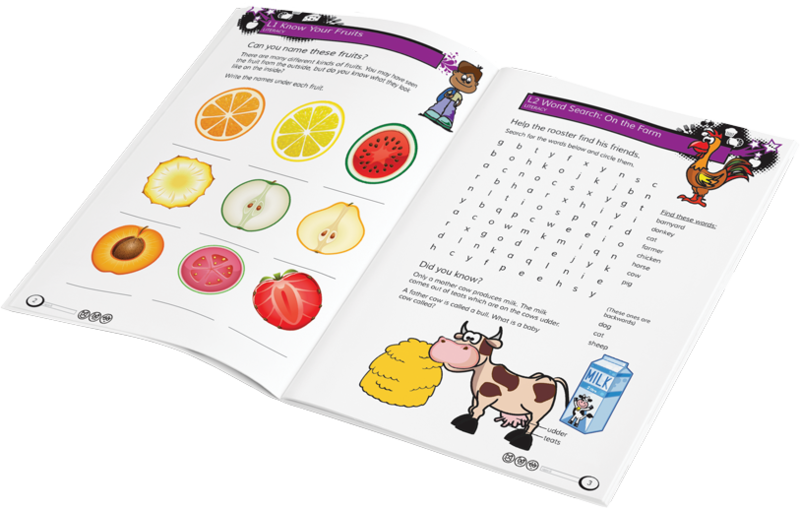 These full colour brightly illustrated workbooks are designed to apply the principles learnt at school – numeracy, literacy and life skills through the theme of nutrition. Research has shown that many kids in South Africa only eat one meal per day and if they are lucky, have to wait many hours for siblings or parents to return home for a meal. The idea of this series is ‘feeding hungry minds’. We are teaching kids how to make food, how to follow recipes, instructions and practical safety. They get to show off thee newly learnt CAPS skills by applying these concepts in a ‘real’ situation. We decided to create a printed series first while we develop the app, as we are aware of many facilities that have no access to internet, tablets or even pen and paper. 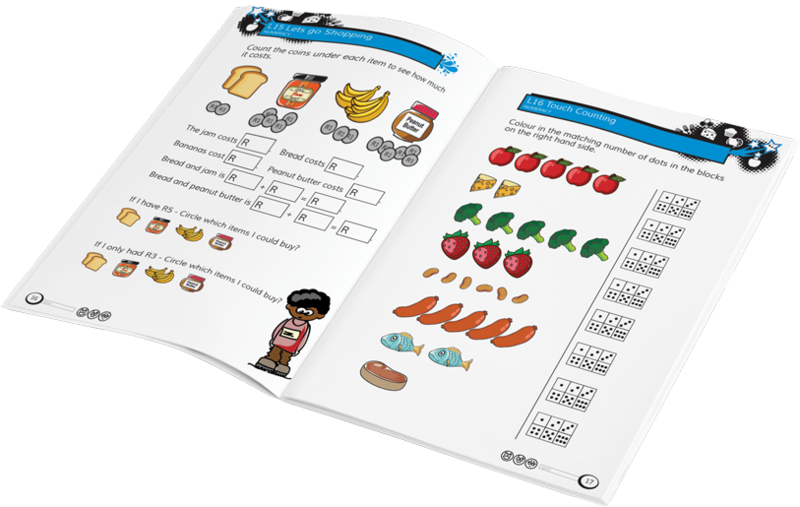 These books are fully interactive with no additional paper required to complete the exercises. There are many easy recipes that are price conscious that make food fun. Many skills, processes, vocabulary, measuring are encompassed to reinforce classroom education. At the end of each book there is a certificate that will encourage the learners to achieve their goals.